For general enquires about the exhibition, please contact Peter Pocock on 0419 967 991 or Chris Winton on 9841 8136. The Albany Hobby Expo is always an enjoyable, relaxed exhibition. 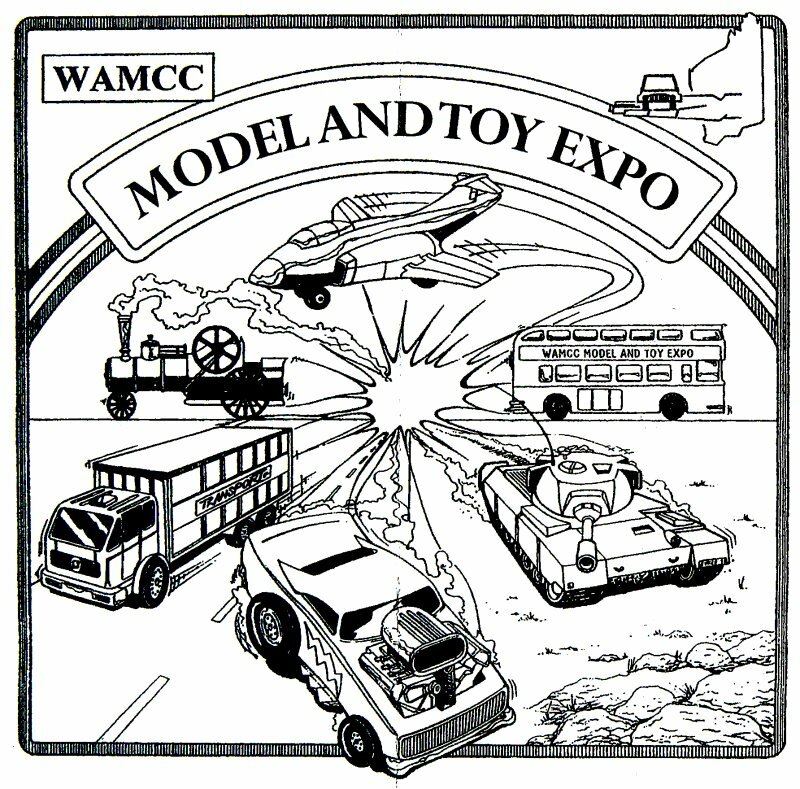 Although the WAMRC has exhibited the past two times it has been held, this year we are unable to make it unfortunately. 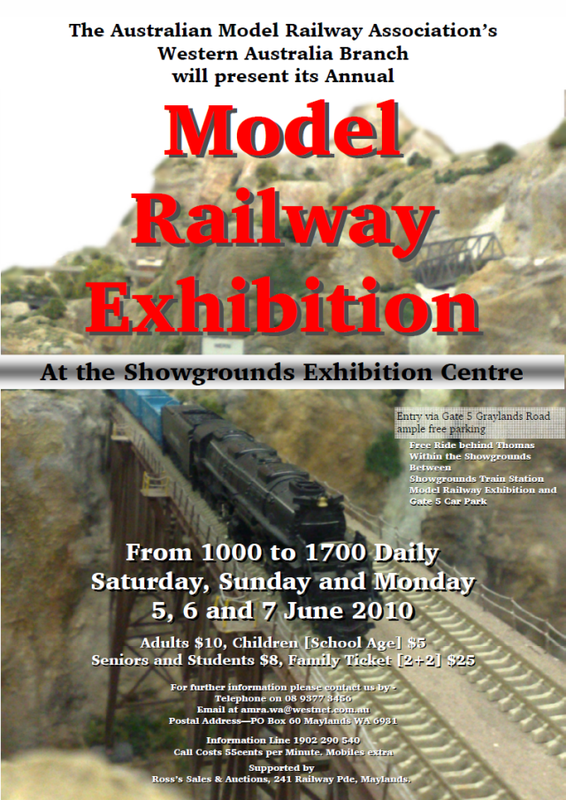 We have been given kind permission to reproduce some photos of models on Arid Australia taken during the Model Railway Exhibition by a visitor. Click on the image above to go directly to the new gallery. 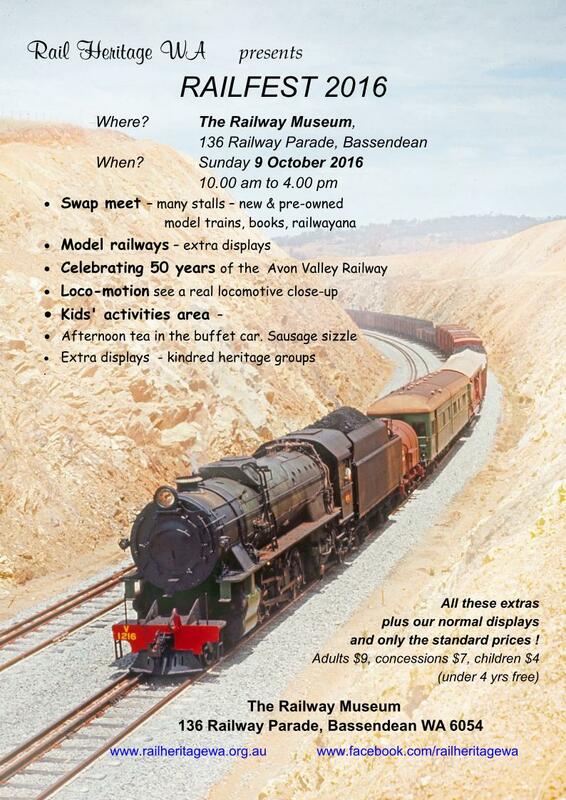 The WAMRC will once again be helping the Arid Australia guys with their massive layout. See you there! The Great Railway Journeys of Australia travelling exhibition is currently on display at Whiteman Park in Perth — until May 10, 2009. The exhibition explores the development of Australia’s rail network and some of the most famous railway journeys in the country. As promised, lots of photos of Weepy Junction from the N‐Scale SIGs trip to the 2008 Albany Hobby Expo at the beginning of October are now available in the galleries page. It was full steam ahead last night down at the club trying to get ready for RailFest this Sunday. With the N‐Scalers only just back from the Albany Hobby Expo, and the Arid Australia boys still making their way back from Sydney, we are not as prepared as we normally are. All members are requested to come along on Sunday for as long as they can — not just the one or two hours you have put your name down for on the public layout roster. It appears likely we could be short of people! 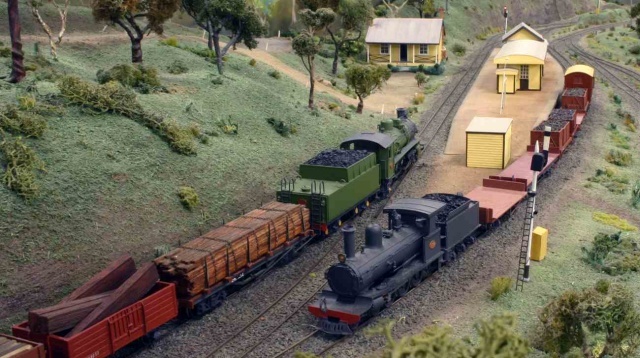 The picture above is from the N‐Scale layout whilst on display at Albany. It shows the brilliant effect that can be achieved by using “Glass Coat” 2‐part epoxy resin for simulating water. The picture is of a cow drinking from the river (complete with reflection) viewed under the bridge on the new terminus station module constructed specially for this exhibition. On the rails above, a German beer train is being shunted by a steam engine. I’ll post some more pictures from the exhibition soon.